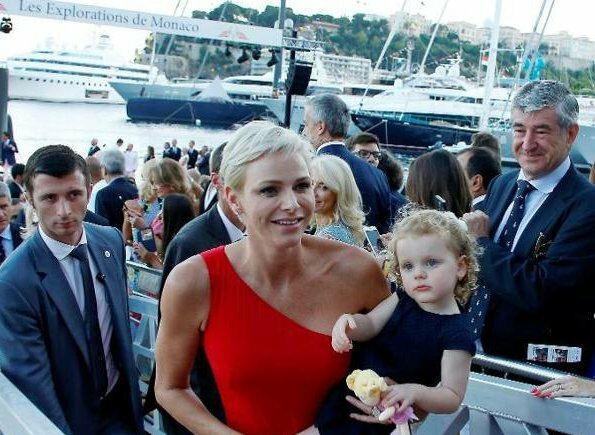 Prince Albert, Princess Charlene and their twins children Princess Gabriella and Prince Jacques attend the launching ceremony of the transoceanic exploration ship Yersin Yatch in Yacht club of Monaco. The Yersin will be used for scientific researches, during a 3 years long trip around the world, and will visit approximately nine areas to conduct scientific research in remote locations on the sea. 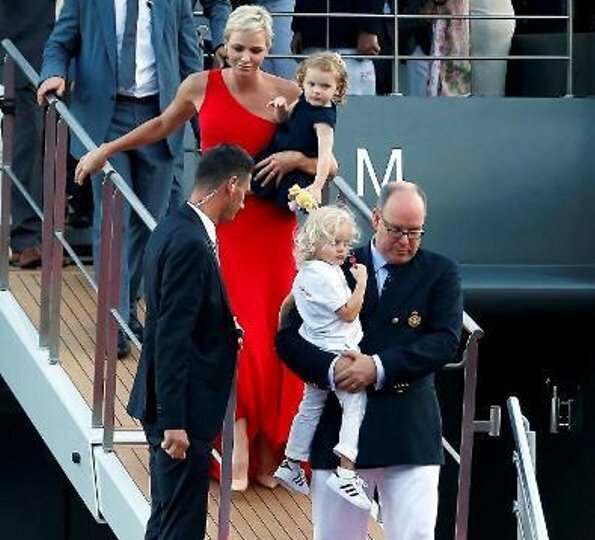 Prince Albert, Princess Charlene and their twins children Princess Gabriella and Prince Jacques attend the launching ceremony of the transoceanic exploration ship Yersin Yatch in Yacht club of Monaco. Monegasque waters won’t be seeing the Yersin again until 2020, so its departure had to be a big event. The Yersin set sail from Port Hercule yesterday evening after a party celebrating the launch of the “Explorations de Monaco.” Last April, the Sovereign announced his desire to re-launch scientific expeditions under the Monegasque banner in order to study marine biodiversity in all the oceans of the world. “It is a part of the Principality that we see launching on the seas,” said the Sovereign during his speech on the bridge of the Yersin. “This ship opens up beautiful prospects for the cohabitation of man with the sea.” He was joined by his wife Princess Charlène and their children, crown prince Jacques and Princess Gabriella, who took part in this celebratory moment which, in his words: “marked the attachment of the Principality to the Yersin, both symbolically and concretely.” Before setting sail, the Princely couple climbed aboard the scientific yacht, sharing this historic moment with their children. The nod to Tintin is the yellow fireplace in the Yersin, just like Aurore in the stories of the comic book hero. The link with the sea is the sponsors and godmothers of the boat who ensure it. 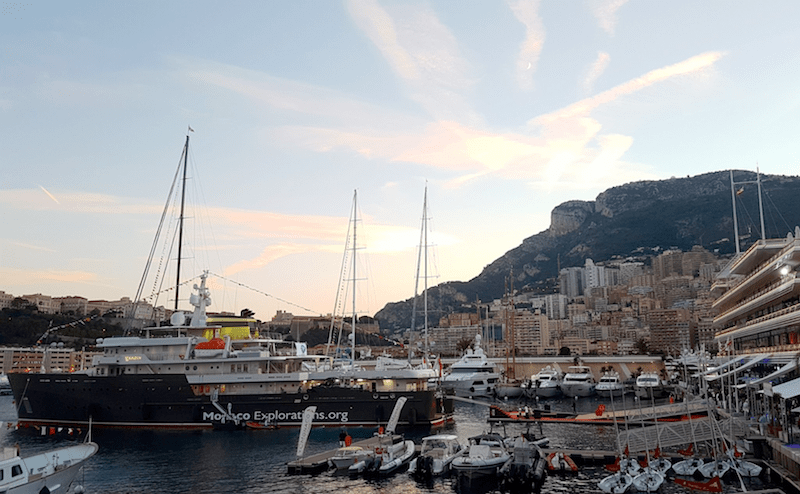 A club of VIP explorers including Catherine Chabaud, Mike Horn, Jacques Perrin, Jean-Louis Étienne, Francois Sarrano, Yvan Griboval and Alvaro de Marichalar, were present on the docks of the Yacht Club to say “bon vent” to the luxury research yacht. Setting off for three years of exploration with numerous stages, the Yersin must get to Macaronesia, in the Atlantic Ocean, by September, with stops in Madeira and Cape Verde. An area where a century ago Prince Albert I had already studied local species.